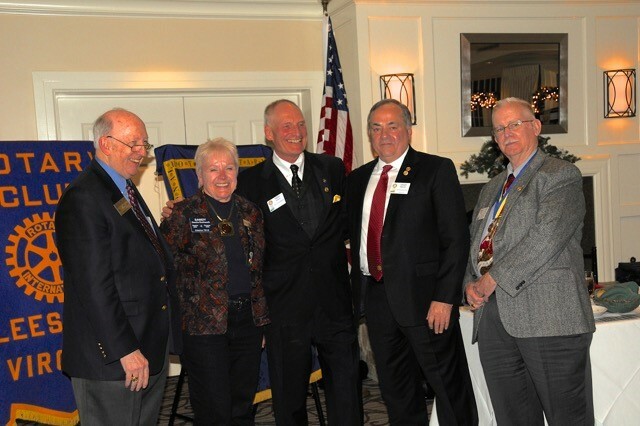 District Foundation Chair Chuck Davidson, Sandy Duckworth and her husband Don joined the club for a night of education and celebration regarding the many things that the Rotary Foundation has done around the globe - from polio efforts to clean water and serving many District efforts. 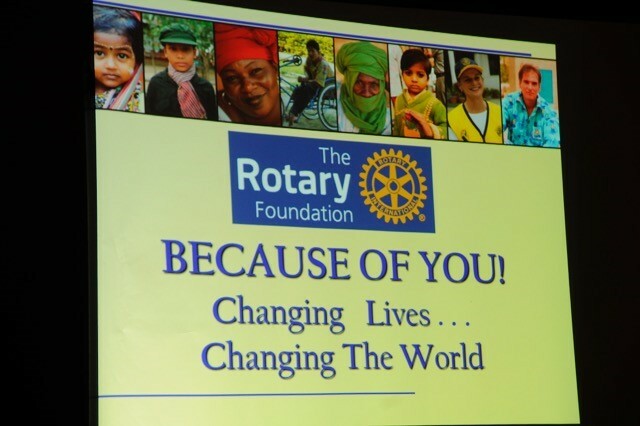 Sandy provided an inspiring overview of the accomplishments and encouraged members to support the Foundation. Chuck Davidson and Sandy joined club president Chuck Reavis and club foundation chair Chris Fristad to award Paul Harris Fellow and Paul Harris Society honors. 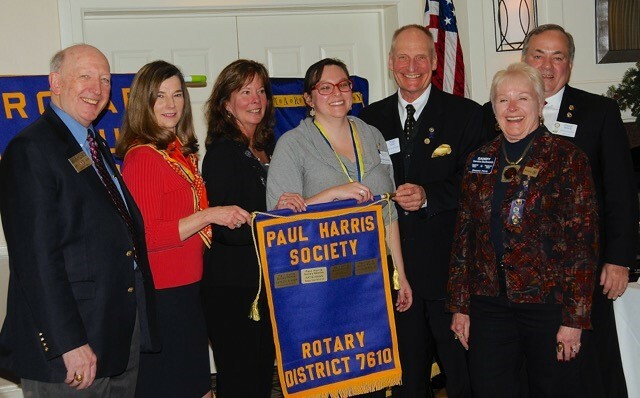 The ceremony included a coveted club banner earned by having four or more Paul Harris Society members.